This is the new "Uncommon" mineral node that can be found in the Cataclysm expansion zones. In addition, these nodes have a chance at dropping the rare quality pet Elementium Geode. The pet is a BOE item, so it can be sold or traded by miners. According to Nethaera elementium is the new uncommon mineral (think saronite) in Cata and its nodes can drop gems, volatile fire, volatile water, volatile earth, and possibly Elementium Geode pets. The actual pet item is in now if you want to link to that instead of the summon spell. So they don't have any ore? Just gems? Either is fine with me, but isnt it strange that there isnt any elementium in it? Yes, they ONLY drop gems and voliatile Earth/Wind/Water/Fire, no ore to be found on these nodes. Actually, you're wrong. This vein is a source for Elementium Ore, wowhead just simply shows wrong information at the moment. It has got gems and volatiles, but ore (it always drops from it) as well. Deepholm is by far the best place to find Elementium Veins. In a couple of hours, I farmed well over 20 stacks of it, and I wasn't even going out of my way to look for it. You can hardly turn around without finding another vein. These are ****ing everywhere! Sometimes i can see 3-4 in deepholm on the mini map. 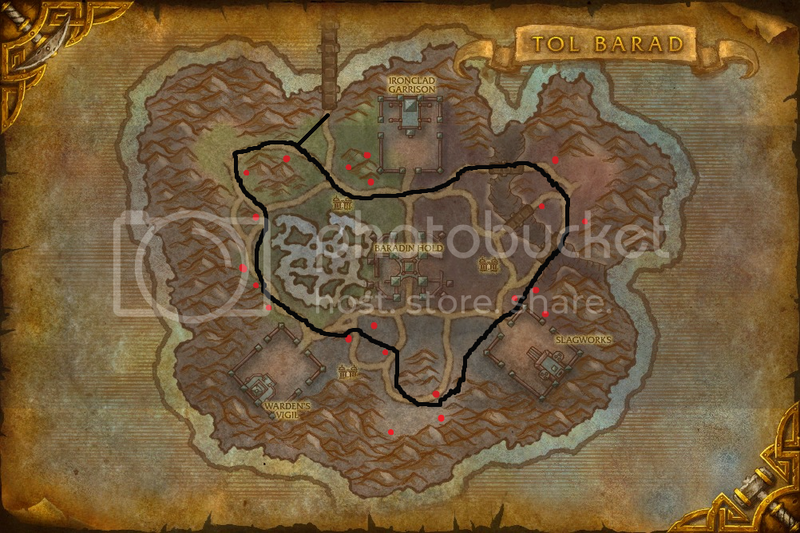 I have also very good experience with Uldum - starting from gates from Tanaris turn right and fly along the edge - there are spots with 3-4 veins within few yards. 50 minutes of farming in the morning (server time) yielded over 30 stacks plus 2 stacks of Pyrite Ore. I like how this is the "uncommon" node for the expansion, and yet it has nearly 5 times the number of nodes as the "more common" Obsidium Deposit...I hope thats just a Wowhead data error, otherwise someone on the development staff goofed big time. Purge all this data - it has been nerfed.
" The tradeskill nodes were too dense in Deepholm and Twilight Highlands for Mining and Herbalism. Several have been removed." Actually they DID goof, putting far too many in Deepholm. 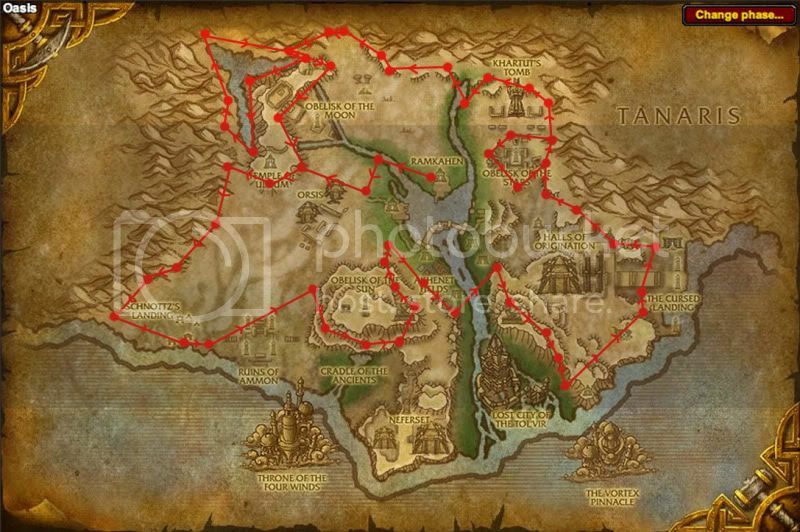 They hotfixed it to remove many of the nodes, so Wowhead's data now shows more locations than are actually in the game live. At what skill level can these nodes be mined? The best spot I've found for farming Elementium Ore was the cave in Twilight Highlands at 37.6, 88.6. Stealth classes have the advantage here since there are a lot of mobs. After trying Deepholm and circling Twilight Highlands, I saw the infamous dark yellow dot and went in. The respawn rate here is nonstop, going from the front of the cave to the back, I found at least 10 nodes up at once. Spent about three hours there getting the mats to max engineering, and never had down time moving from the front of the cave to the back and back again. If you're a druid or rogue, I'd recommend checking it out. Although not in the lists of loot, the Rich Elementium Veins and Elementium Veins have a rare chance to drop the Elementium Geode companion pet. This pet is NOT bind on pickup, so it can be sold to other players. Yes, the elementium vein next to the waterfall in Twilight Highlands is bugged. You don't have to spend 15minutes looking for it. "extremely rare" sry for my lol maybe extrermely stupid to call it a pet.I have this wannabe pet ,a pal mail it 2 me so it's not so rare afterall i guess... well this is my humble op and prediction this will be the most unpopular pet so sell it now when ppl still don't have it @ high prices. The elementium depths in the twilight highlands is a great place to farm, so long as you can figure out a way to weave through the mobs, such as mind soothe or camouflage. Also the occasional pyrite. I gained 9680 exp mining this as a lvl 83 warrior with a 525 skill in mining. Deepholm is awful now. 30 minutes and nothing. I used to think it was because of all the miners on my server..
Deepholm. Before the shattering it was a very rare thing to have as the stone mother therazane would not allow the ore to go beyond her realm. After Deathwing broke out of Deepholm during the cataclysm elementium became more readily Avalible on the surface of Azeroth. I find twilifght higlands best place to farm this. Deepholm is better for Obsidium, from my recent findings (was leveling BS). Just follow the flight path, you'll go round in circle, just in time for nodes to respawn. Don't forget cave at 56. 84., no enemies, you can fly inside, I usualy found 4-5 nodes to mine. Ignore big cave, unless you are stealth class, too much enemies to fight, not worth the time. this must be an extremely rare drop, but I got this MINING in Twilight Highlands. I mine alot, so i'm guessing a very, very rare drop. Below is the most common route in which I farm for gems, ore and volatile. I usually only have to go maybe 3 or 4 times around Uldum before I have 10 or so stacks of elementium and 3 or 4 stacks of pyrite ore.
- If you find yourself racing between multiple people for nodes, turn around and go the other way. Remember that not only do nodes spawn in front of you, but also behind you. - Get 310 flying. Not only does this help your chances, but if someone really wants to race you (as most do), you'll have a better chance of winning. - Be aware that if you're not level 85, you're going to encounter aggressive NPCs. There are plenty of hyenias, scorpions and other various NPCs that can kill you. I cannot tell you the amount of times I've seen someone die from trying to mine. If you can't kill the NPC on your own (before or after you mine the node), then don't attempt to mine something next to NPCs that can attack you. Quite obvious, but obviously needs to be said. 10 minutes farming elementium in TH. I got 51 elementium, along with about 3 nodes of pyrite. I'm farming TH. Elementium depths has NPCs in it that will attack. I dont think its worth it to go into them. just keep flying around. This item turns gray for skill increases in mining at 575 in the MoP beta. My 129th vein in Uldum contained Amberjewel, for anyone wondering if you can get blue gems from them. Uldum still one of best places to get it as of 6.x . Upper part is almost a straight line flying, you get some volatile elemental materials while mining, you can stumble on some rich nodes, pyrite nodes, and sometimes you get 2-3 nodes up close to each other in some places, you barely fly 20s before getting another node shown up on your path. Made a full loop around twilight highlands, even with more spawn points for the ore, you fly around more than uldum, tracking the nodes. This reminded me of Wintergrasp in Northrend. When I wanted to farm titanium, I went there for it, even if in Icecrown you saw a lot more saronite nodes spawn points. I like less messy places, less scattered nodes and faster gathering. Those are best places. For Elementium, I recommend you go to Twilight Highlands or Uldum. For Obsidium, go to Hyjal or Deepholm (avoid Vashj'ir except if you prefer the seahorse or the scenery). The only reason there are so many Elementium Veins still registered for Deepholm is that the nodes there can still spawn either Obsidium or Elementium, but the chances for Elementium to spawn are significantly smaller, and on the other hand the nodes in TH or Uldum almost exclusively spawn either Elementium or Pyrite (with a higher chance for Elementium). Deepholm is sort of between Hyjal/Vashj'ir and TH/Uldum, at least in matters of levelling gathering professions, though it's really not the best zone to level any of them (except when you specifically need some reagents for a crafting profession of course, like Albino Cavefish or whatever). Dieses Objekt befindet sich in Tiefenheim (791), Schattenhochland (572), Uldum (322), Halbinsel von Tol Barad (59) und Tol Barad (55).